The passenger compartment remained stable in the frontal impact. 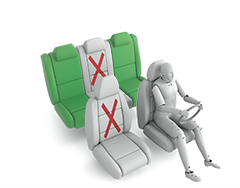 Dummy readings indicated good protection of the knees and femurs of the driver and passenger dummy. Renault showed that a similiar level of protection would be provided to occupants of different sizes and to those sat in different positions. In the side barrier test, the Mégane Hatch scored maximum points with good protection of all body areas. In the more severe side pole impact, dummy readings of chest compression indicated marginal protection for that part of the body. 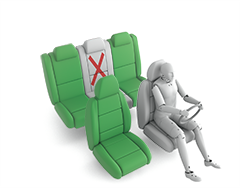 The protection provided by the seat and head restraint against whiplash injuries was also marginal for the front seats and was rated as poor for the rear seats, based on a geometric assessment. Based on dummy readings in the dynamic tests, the Mégane Hatch scored maximum points for its protection of the 1½ year infant. In the frontal impact, forward movement of the head of the 3 year dummy, sat in a forward-facing restraint, was not excessive although neck forces indicated fair protection for this body region. The passenger airbag can be disabled by means of a switch, allowing a rearward-facing child restraint to be used in that seating position. However, the switch is not unambiguously marked and the system was not rewarded. Clear information is provided warning of the dangers of putting a rearward-facing child restraint in the passenger seat without first disabling the airbag. All of the child restraints for which the car is designed could be properly installed in the car. The bumper provided good protection to pedestrians's legs in all areas tested and scored maximum points. However, the protection offered by the front edge of the bonnet was predominantly poor. On thye surface of the bonnet, protection offered to the head of a struck pedestrian was predominantly adequate but was poor along the bottom of the windscreen and on the stiff windscreen pillars. Electronic stability control is standard equipment. A seatbelt reminder system is standard for the front and rear seats. The system for the front seats met Euro NCAP's requirements. Since the Mégane Hatch was last assessed in June 2014, Renault have updated the seatbelt reminder for the rear seats so that information is provided in all languages, and it now meets Euro NCAP's requirements. A driver-set speed limitation device is also standard equipment and met Euro NCAP's requirements for systems of this type. 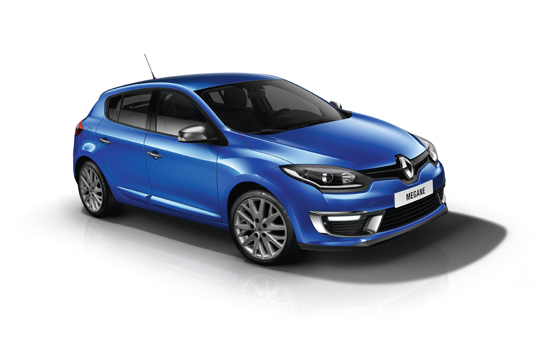 The Renault Mégane Hatch was tested earlier this year and awarded a three star rating. Renault have addressed the seatbelt reminder system so that it meets Euro NCAP's requirements and this rating is valid for vehicles with Vehicle Identification Numbers (VINs) from the one shown.